Home » RainyDayGarden » Spring 2011? It’s the last day of March and many green things have started to poke out of the ground. 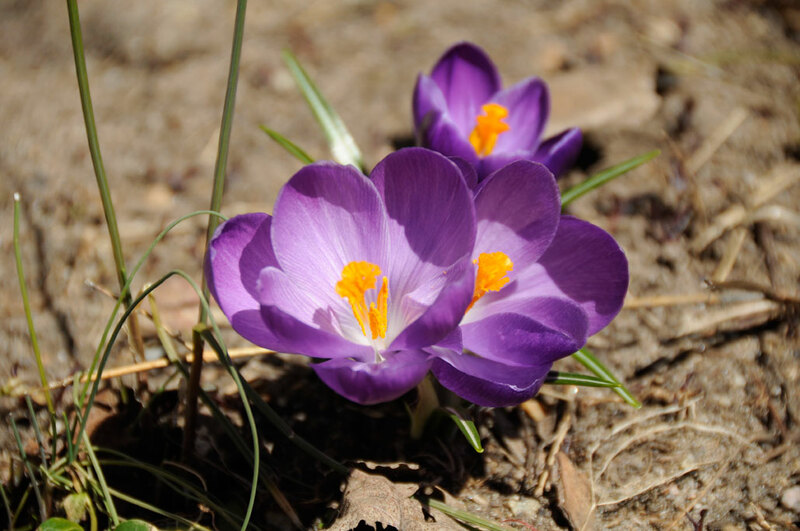 The irides and crocuses are happily warming themselves in the sun. We don’t remember planting them, but are delighted that they have found a home in the RainyDayGarden. 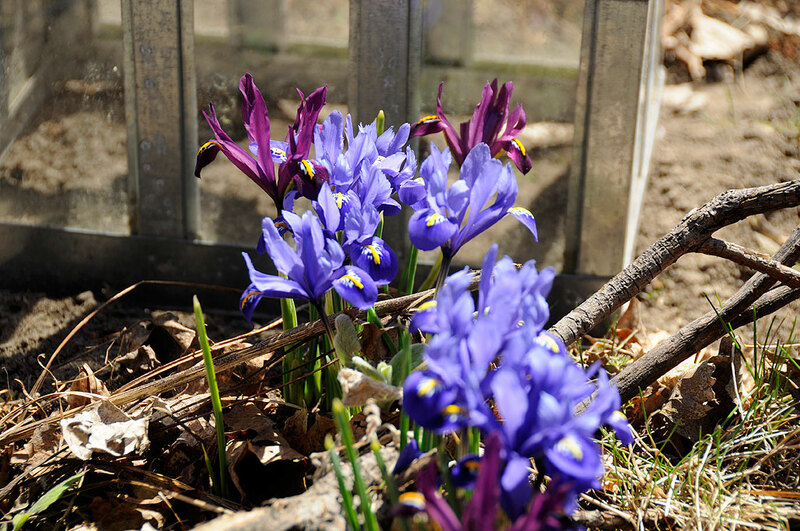 The best thing about a perennial garden is that just a little bit of work is all that is needed to keep things blooming year after year. We have been working on it for over ten years. Plant a little here one year. Move some stuff over there another year. Split them when they get too crowded. Add more as needed. The key is to take photos when things are blooming so one can track things year over year. The alliums and the tulips have made great progress these past few weeks. Soon we’ll see buds starting to pop their heads up from amongst the leaves. In another three weeks, there will be hundreds of blooms. Can’t wait! Snow In April, rain in May, and a drought in June!! !